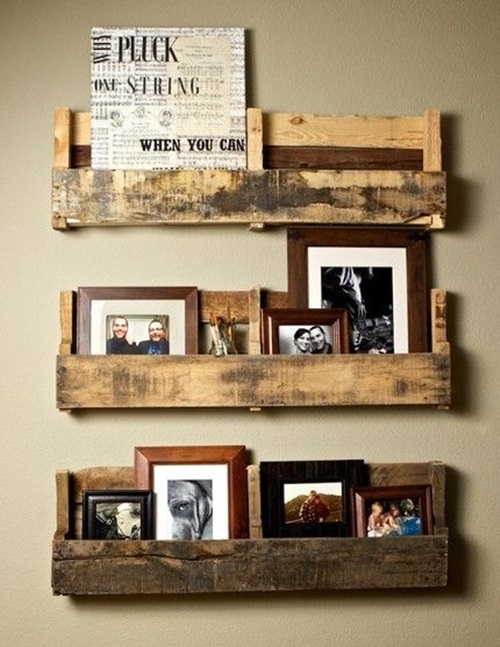 Pallets are structures made of wooden planks to lift goods using jacking devices like forklifts and front loaders. 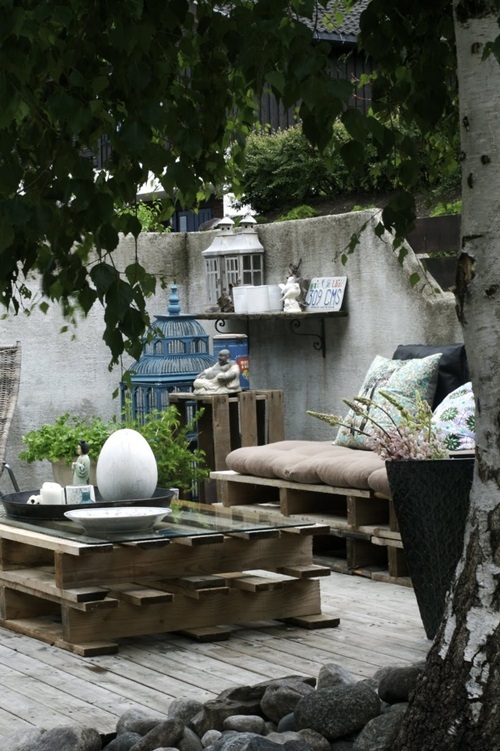 Pallets are often considered useless when they are not used to lift things. 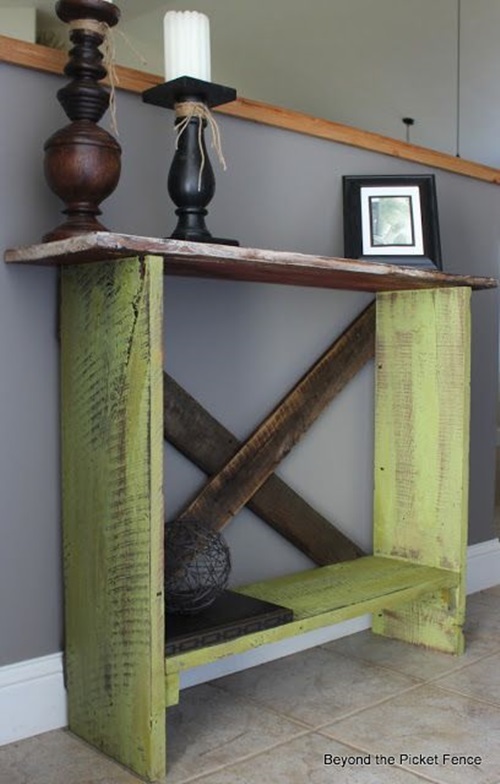 However, Modern designers have used their creativity to upcycle almost every useless thing you can think of into gorgeous pieces of furniture. Some of these ideas are here in this article. 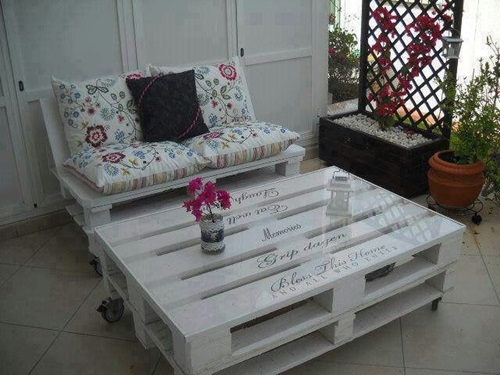 1 – Coffee pallet table is a great ideas. 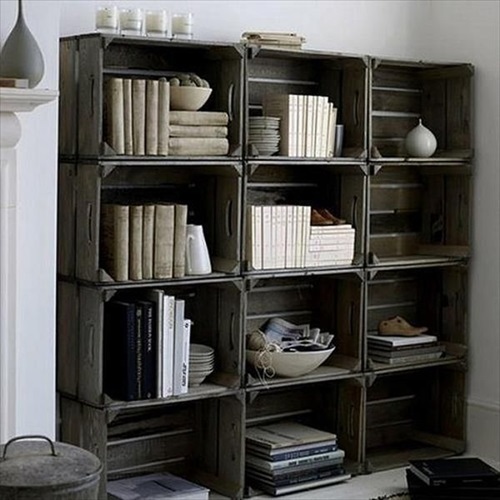 Get two pallets and place them above each others. 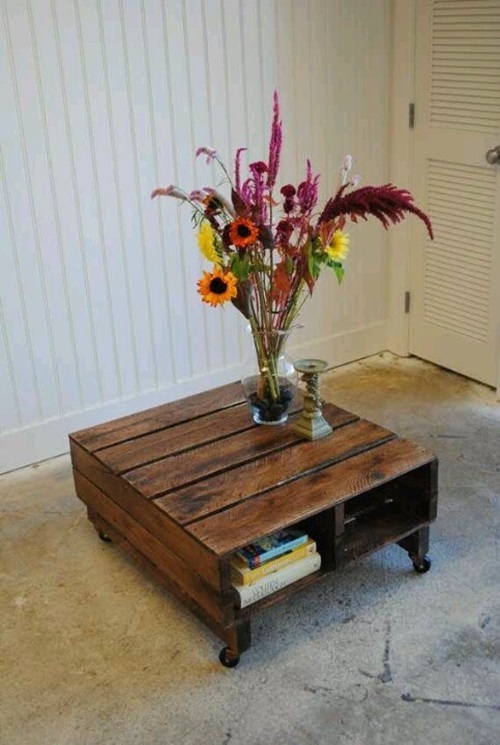 For an even more practical coffee table, attach casters to the bottom corners of your coffee table. 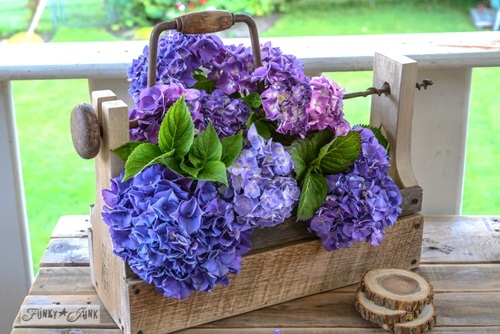 It will be an adorable piece for an outdoor furniture set or in a rustic décor room. 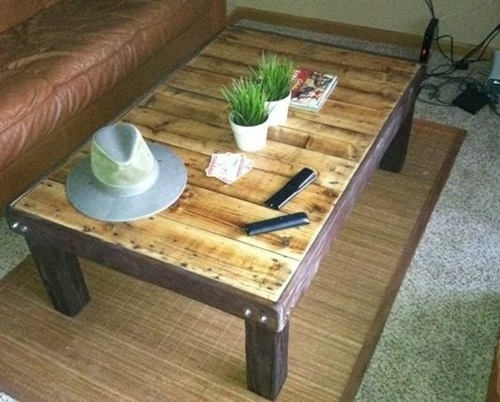 For an extravagant look, paint it, and then add a glass top above. 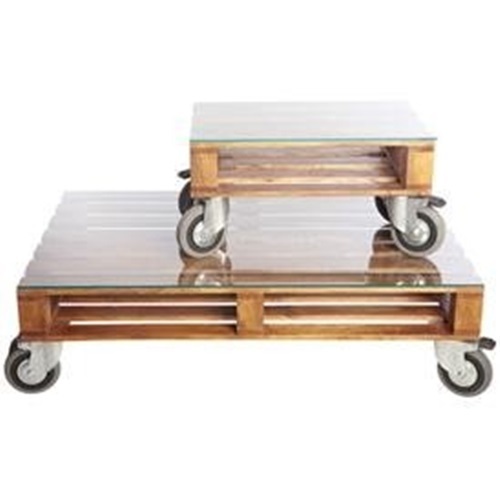 2- You think that getting a kitchen island is expensive? Not anymore! 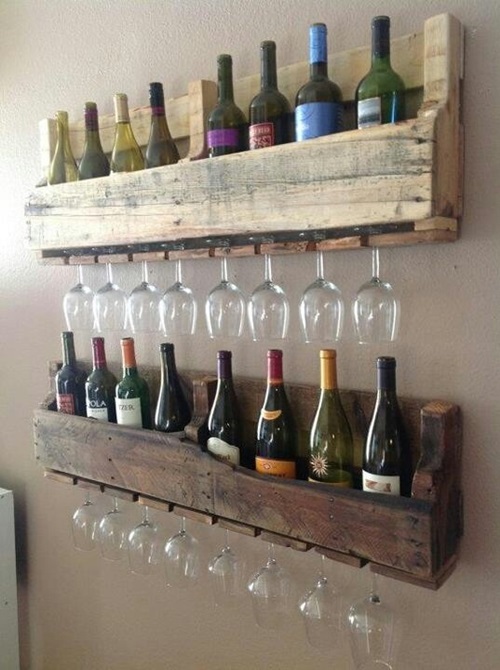 Get three pallets, attach the pallets together using the nails and screws, and then add a top of your choice. 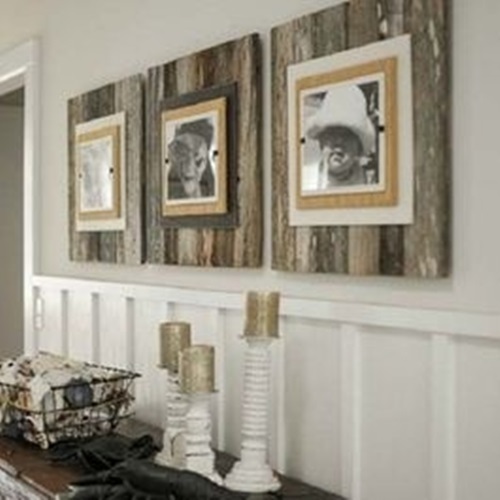 Paint it in a neutral color or paint it in a color that matches or contrasts the colors in the rest of the kitchen. 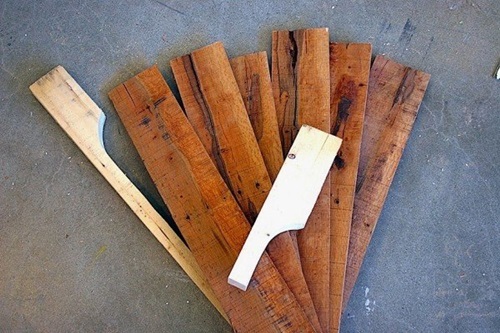 It is fun to make and look at, and it will be the cheapest kitchen island you could ever get. 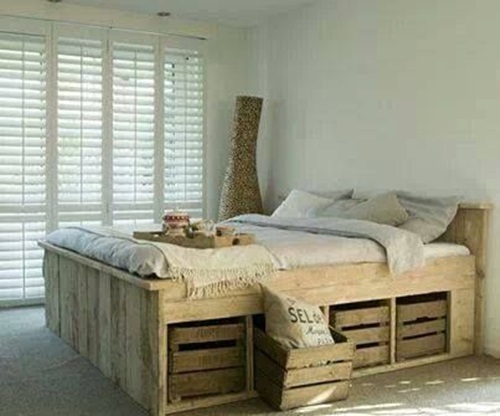 3- Pallets can be even used to make a comfortable sofa with built in storage. 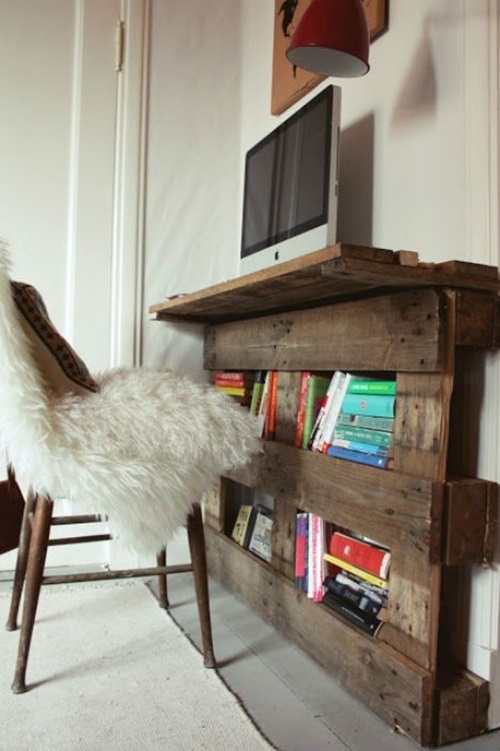 The number of pallets will depend on how long you want your sofa to be. Just make sure it is an even number. 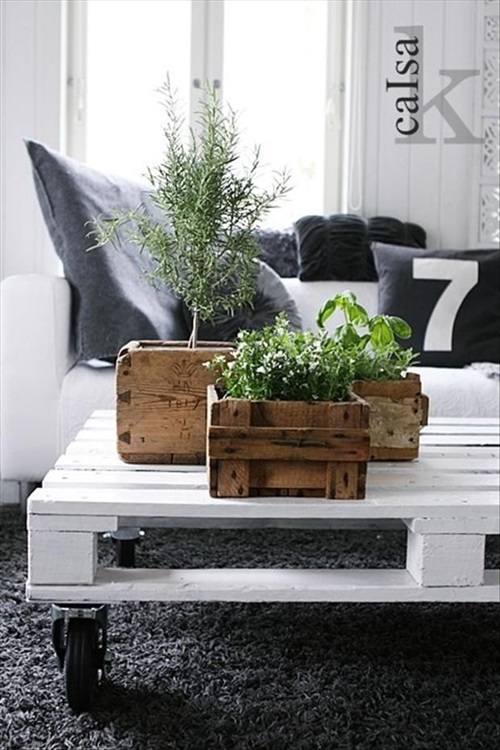 Secure each two to each other using nails then place upholstered pillows above them. You can use cut and tailored lengths of fabrics as skirts if you want the storage to be hidden. 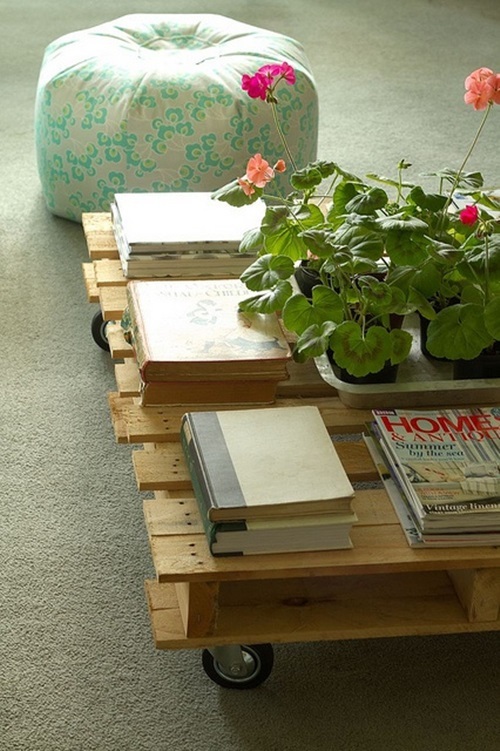 4- Pallets even make the easiest ever shoe rack. 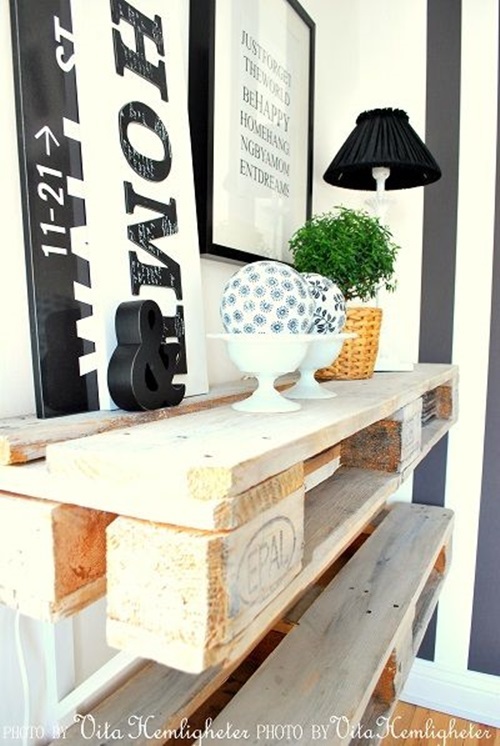 Just secure the pallet vertically to the wall (paint it if you want to). 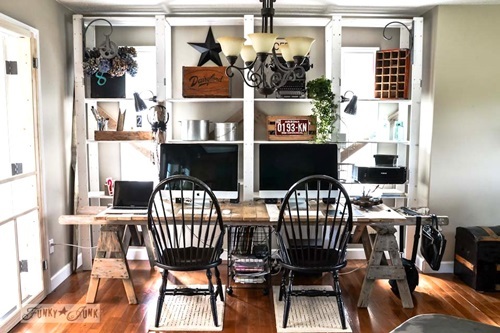 5- With a pallet, you can even make your own computer desk. 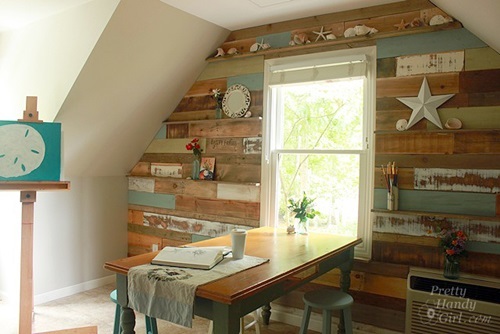 Get a sheet of plywood and secure it with nails to the back of the pallet. 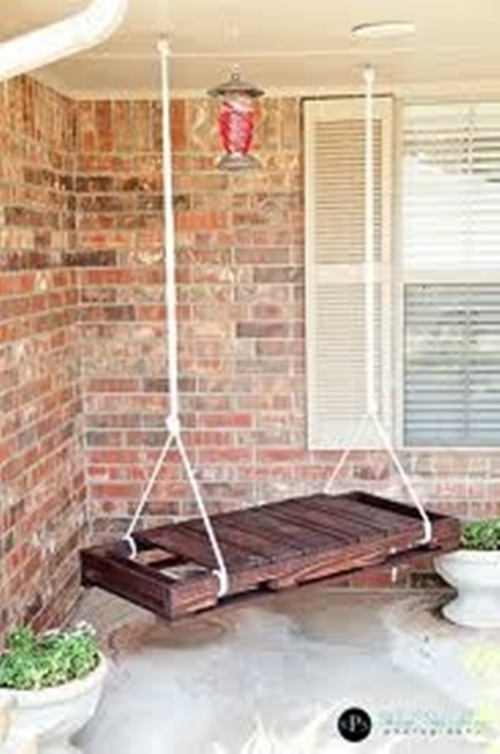 Then get four sturdy legs and secure them to the pallet with more nails. Now you have your own computer desk with storage space and everything.